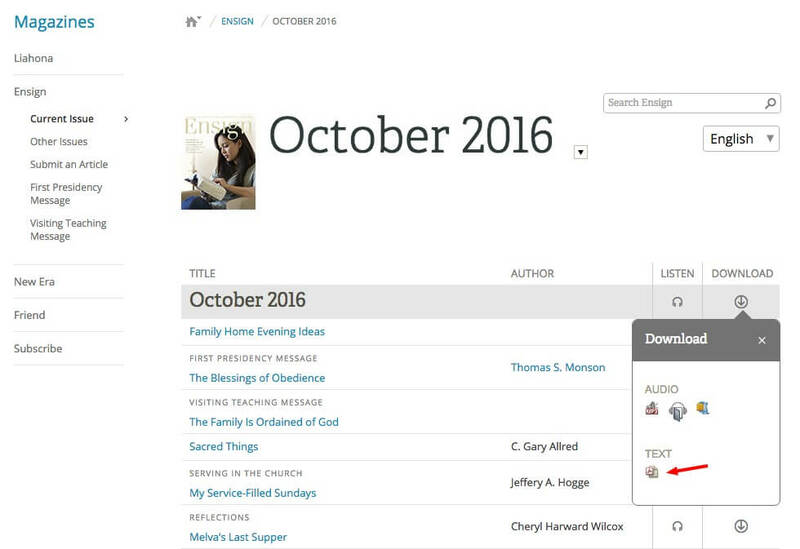 Previously we shared a way to quickly review the audio of General Conference talks. The Nov., “conference edition” Ensign will be arriving soon. 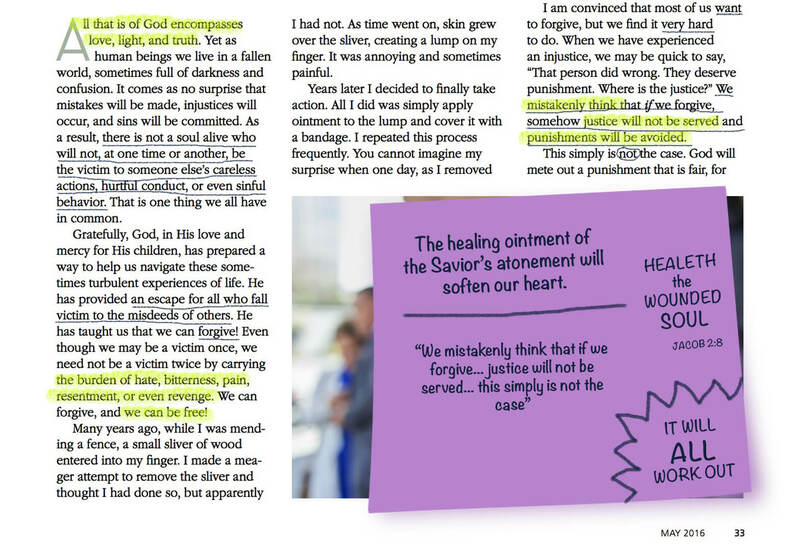 Fortunately for all of us an MLH reader, Heather was kind enough to share her method for recording thoughts and inspiration as she studies the Ensign’s printed version of General Conference talks. You can subscribe to the Ensign here, or pick them up for some change at Deseret Book or Deseret Industries. If you want to print it yourself for some reason, visit the Ensign page here. Next navigate to the issue you want. Finally, click the very first download button in the top-gray bar (as pictured) and then the PDF icon at the bottom of the drop-down. This will give you a printable replication of the physical Ensign shipped to subscribers. Do you find this tip helpful? 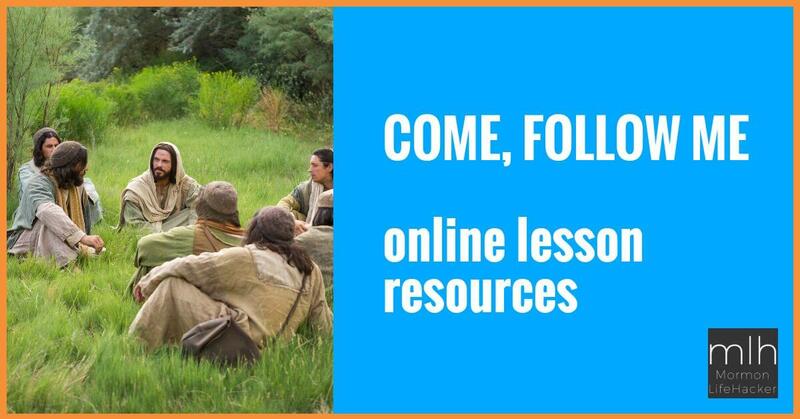 How do you study General Conference? What Are the Funniest Moments From Conference? Thanks to Heather for this excellent idea. I’ve been adding notes as I highlight in my online scripture reading for several years now. I recently noticed I have over a thousand notes. When you go back and re-read notes you’ve written under inspiration, it’s a lot like reading scripture. I highly recommend it.